In 1897, A.C. Snow described Butte, Montana, as: “The largest smokiest wickedest mining camp on the face of the earth….” Today, thousands of visitors make the journey to The Richest Hill on Earth to experience a taste of the West’s mining past, connect with their family roots, and enjoy the festivals and museums that celebrate the city’s colorful history. 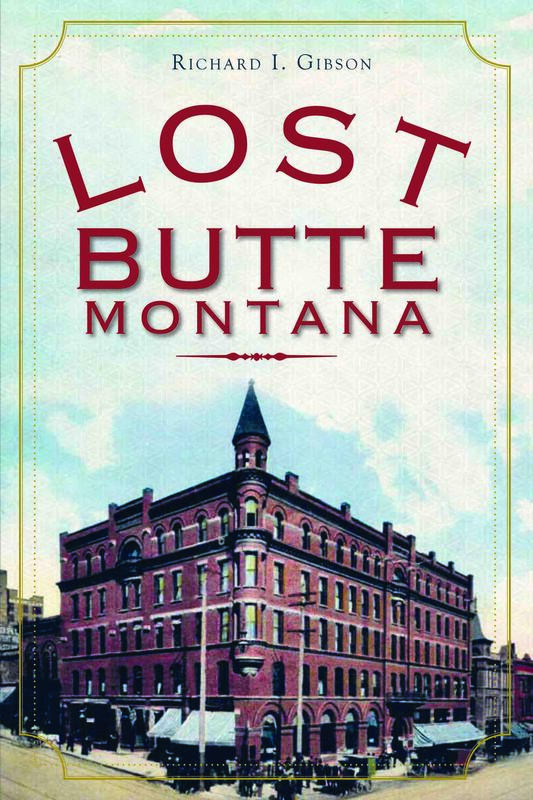 This summer, The History Press is delighted to announce the publication of Lost Butte, Montana, a new book by historian Richard Gibson that reveals the stories behind Butte’s vanishing architecture. From the stately Queen Anne mansions of the West Side to the hastily constructed shanties of Cabbage Patch, Lost Butte, Montana, traces the city’s history through its architectural heritage. The Grand Opera House, once graced by entertainers and cultural icons like Charlie Chaplin, Sarah Bernhardt, and Mark Twain; the infamous brothels, protested by reformer Carrie Nation wielding her hatchet and sharp tongue; and the Columbia Gardens, built by Copper King William Clark as a respite from the smoke and toil of the mines and later destroyed by fire. Through the stories of these structures, lost to the march of time and urban renewal, historian Richard Gibson recalls the boom and bust of Butte, Montana, once a mining metropolis, now part of the largest National Historic Landmark District. Lost Butte, Montana by Richard I. Gibson will be available from The History Press and Montana bookshops in July 2012.